Launching with just two trucks hauling gasoline and the idea that trucking service could be improved, Reggie Dupré has built Dupré Logistics into one of the top 100 privately held companies in Acadiana. The Opelousas native grew up working for his dad’s chain of service stations. He bought his own self-service convenience store during his last semester of college and founded Dupré Logistics a year later in 1980. His dad served as his mentor and taught him how to withstand the cyclical nature of the business. “Be humble when it’s good and positive when it’s bad” is Dupré’s motto. For the most part, he’s been lucky to grow a small transport company into an industry leader. 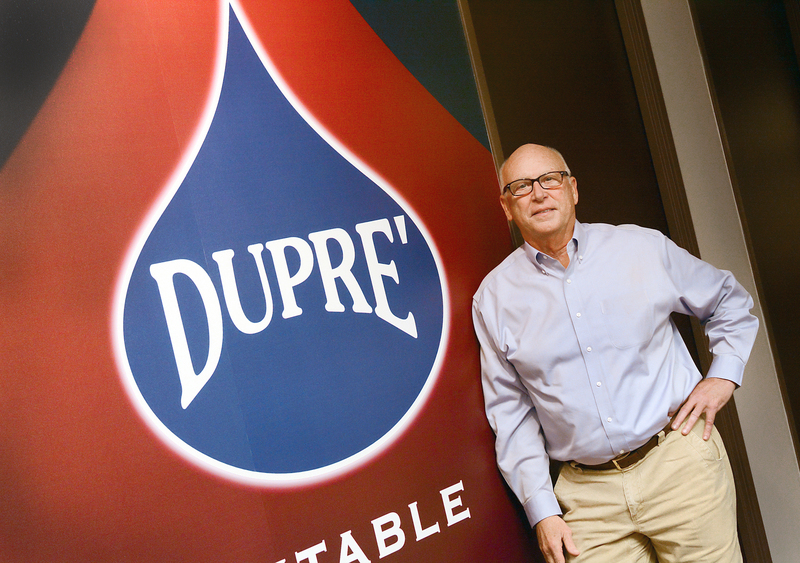 As new technology and workforce challenges impact the trucking industry, Dupré is now concerned with building a succession plan for the next generation of his company. At age 66, he hopes to retire in the future and have more time to travel the world with his wife and hunt and fish with his children. I was the president of a small refining company, Canal Refining. It was a chain of service stations my dad built to sell gas and diesel. I grew up painting those stores and working. I ended up buying a small convenience store when I was 22 years old during my last semester of my college career. That’s how I got into business. We never did have trucks, but in the late 1970s, service from trucking companies was getting bad, so we decided to acquire a small gas delivery transport company. I don’t think it’s a secret. I just think that perseverance is necessary to be successful in any field. You’re going to have challenges, and there’s going to be tough times and if you have the ability to persevere—it can come from a spouse or people helping you—but there needs to be a certain amount to make it through tough times. The higher up you get in an organization when it comes to leadership, the more responsibility you have for more people. It’s not about power and prestige as much as it is about a sense of responsibility for doing the right thing for your customers, team members and company. Responsibility can get to be a burden sometimes. What are your next goals both professionally and personally? I’m 66, so developing our leadership pipeline is becoming more critical. We need to make sure we’re building a succession plan for the next generation and the generation after that. When building a company, you don’t necessarily think about the next generation, but developing that talent is what I’m really engaged in now. Right now: people. Professional truck drivers are in high demand. We’re growing our business and need to staff our positions. Maintenance technicians are also very scarce. Getting people who really want to not just come here and spend 40 or 50 hours working, but decide they’re going to be engaged and create value and make this their home. A leader’s job is to help create that engagement for people so that they not only give you their time, but give you their heart. I’ve been fortunate enough to be able to do a lot of the things. I want to go back and do a few more river cruises in Europe, and we haven’t been to the Far East. I’m doing what I want to do. I’ve been lucky. I can’t think of what else I’d want to be doing. What is your go-to spot in Lafayette? Charley G’s. My favorite dish is usually the fresh fish of the day, but their duck and andouille gumbo is to die for. 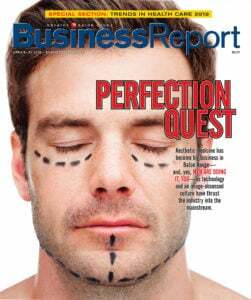 This article was originally published in the first quarter 2018 edition of 10/12 Industry Report. Read more from this issue at 1012industryreport.com.